The battery operated hand-held marking system FlyMarker® mini is a lightweight dot peen marker. 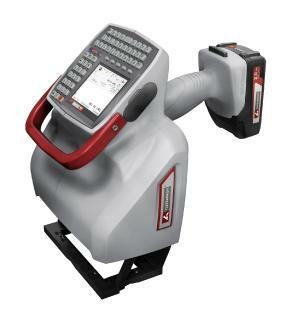 With only 2.7 kg and its compact design this marking unit is mainly suitable for durable markings of big and unmovable work pieces directly on-site. With the new, optional available column frame it is also very easy to mark small work pieces or type plates. 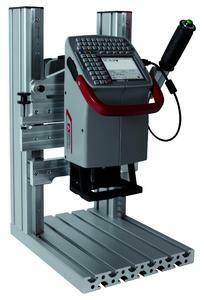 The mobile marking unit can easily be put into the column frame and can be fixed with a clamping lever. Smooth-running linear guides allow a quick adjustment of the marking pin distance and the marking can be started directly. Thanks to the T-slot base plate of the column frame, it is possible to mount the optional available MARKATOR® type plate as well as individual plates which are produced by the customer itself to position the work pieces which need to be marked. 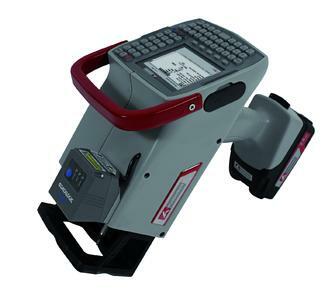 The portable marking system is suitable to mark several materials with a hardness of up to 63 HRC. 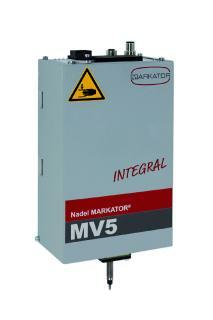 A quick and reliable technology and the easy operation characterize this battery operated marking unit. Due to the two Lithium-Ion-Batteries which are integrated in the standard scope of supply it is possible to mark nonstop. The housing consists of glass fibre reinforced plastic and is with this break resistant. Next to characters and numbers it is also possible to mark logos, test symbols and Data Matrix Codes. 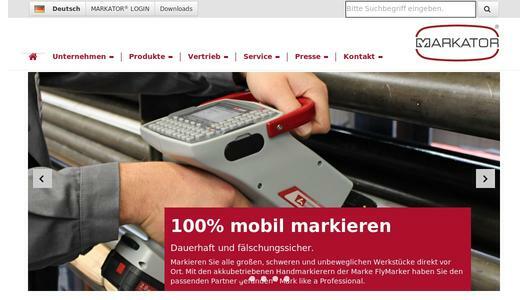 With the new version of the FlyMarker® mini with an integrated barcode scanner it is possible to scan 1D and 2D-codes (e.g. 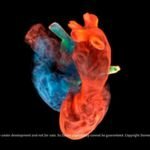 barcodes, QR-codes, etc.) without any external accessories. The scanner is integrated directly on the front face of the marking unit. With this, barcodes can be scanned quickly and the content can then be marked in characters directly on a work piece. For the transportation to another construction site or a different hall, the practical carrying case can be used. This carrying case contains all components of the scope of supply. Depending on the material and the customer requirements, the marking force and with this the marking depth can be adjusted individually. The clearly designed software is very easy to understand and enables an intuitively operation of the hand-held marking system. Thanks to the use of latest processor technologies, a fast navigation and quick access times to the marking files is possible. Several hundreds of marking files, fonts and logos can be stored and administered in the internal memory of the marking unit. There are many language versions available. Are you interested in the portable marking unit FlyMarker® mini?